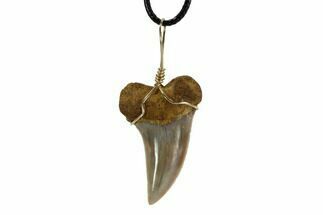 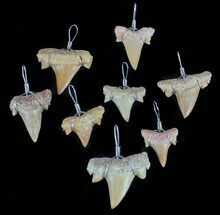 Ever wanted to wear a real tooth of the greatest predator to ever stalk earths oceans? 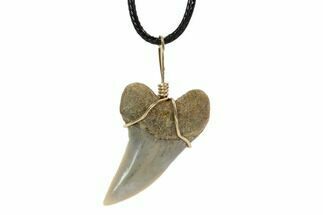 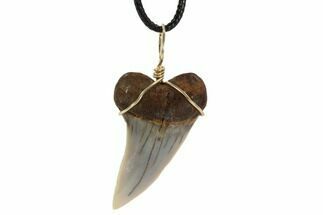 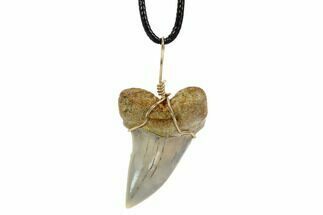 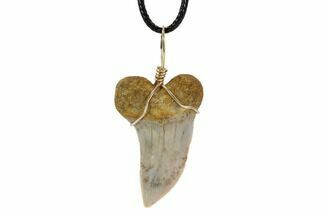 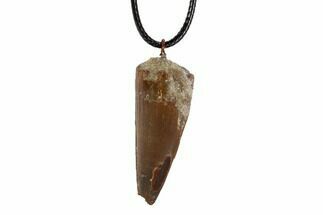 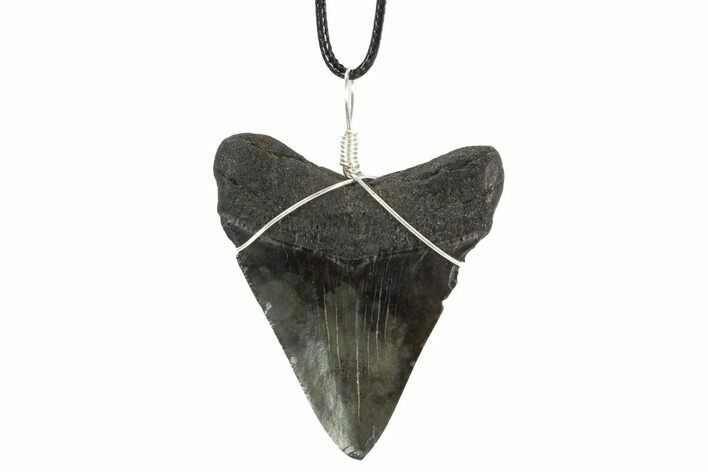 Here is a unique piece of fossil jewelry, it's a necklace featuring an authentic fossil Megalodon tooth. 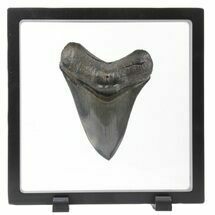 It would have come from a juvenile Megalodon shark and is Miocene in age from the Hawthorn Formation of South Carolina. 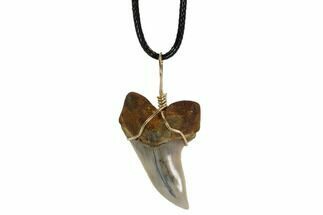 The tooth has been slightly polished, wire wrapped and comes with a 19" necklace cord.